From Afghanistan to America, family matters most in this companion to Shooting Kabul, which Kirkus Reviews called "an ambitious story with much to offer." A rough and tumble tomboy, twelve-year-old Ariana couldn't be more different from her cousin Laila, who just arrived from Afghanistan with her family. Laila is a proper, ladylike Afghan girl, one who can cook, sew, sing, and who is well versed in Pukhtun culture and manners. Arianna hates her. Laila not only invades Ariana's bedroom in their cramped Fremont townhouse, but she also becomes close with Mariam Nurzai, Ariana's best friend. Then a rival Afghan grocery store opens near Ariana's family store, reigniting a decades-old feud tracing back to Afghanistan. The cousins, Mariam, and their newfound frenemie, Waleed Ghilzai, must ban together to help the families find a lasting peace before it destroys both businesses and everything their parents have worked for. The arrival of a rival Afghani food market at the same California shopping plaza as the Shinwari family's already established store brings with it the threat of an awakened family feud. Eleven-year-old Ariana Shinwari feels klutzy and inadequate next to her almost-12-year-old perfect cousin, Laila, who has moved in with Ariana's family after fleeing the Taliban in Afghanistan, leaving her father, a translator for the American Army, behind. And now it looks like Ariana's best friend, Mariam, who also fled Afghanistan with her family, has all of her classes with Laila. But when strange things start to happen at both Kabul Corner and the upstart Pamir Market, schoolgirl conflicts give way to collaboration among Ariana, Laila, Mariam and Wali, the son of the new store's owner. 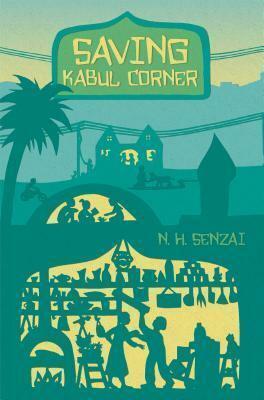 Senzai successfully weaves the dynamics of Afghan culture, history and political wranglings into a classically American mystery story, unraveling who and what are really at the heart of the conflict between the two Afghani grocery stores. Readers will appreciate that young people solve all of the questions at hand and ultimately bring the two families together.